Preheat your oven to 400 degrees. Place the peppers skin-side down in a large roasting pan and bake for five minutes. 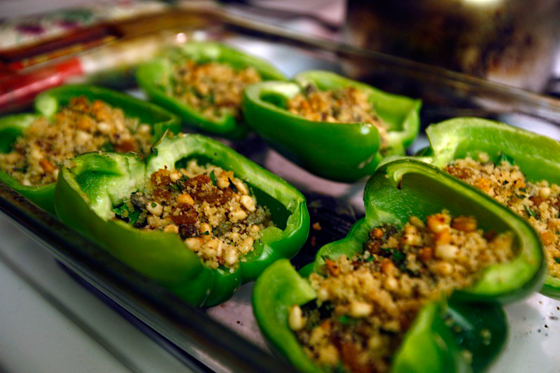 While the peppers are roasting, mix the capers, garlic, bread crumbs, parsley, golden raisins, pine nuts and oil in a medium bowl. Season with salt and pepper, and any other spice you enjoy. 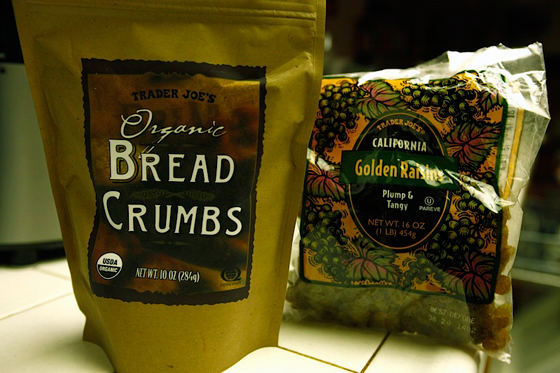 Just not sugar, you will have enough of that from the sweetness of the raisins. 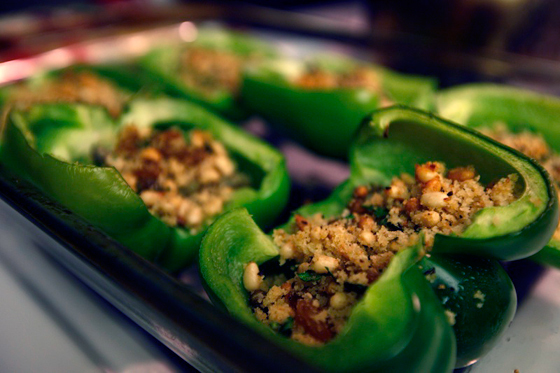 Take the peppers out of the oven. Spoon the mixture into the cavities of the partly cooked bell peppers. 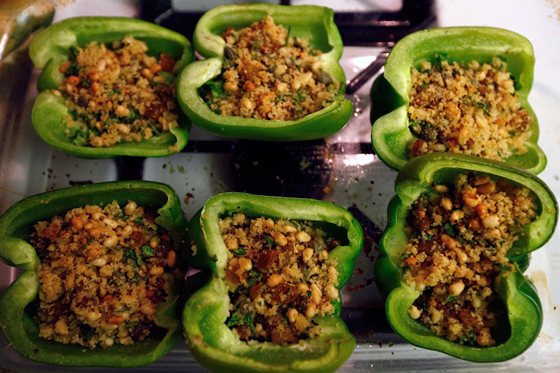 Bake until the filling is browned and the bell peppers are softened, between 10-15 minutes. Serve warm! This pairs well with a nice hot veggie broth based soup and a pinot noir. The raisins are totally swappable with cranberries, too, if you prefer!